Headquartered in Kolkata India, Biodiesel Technologies was conceived in 2002 in response to the serious environmental and health hazards arising out of the various polluting emissions casing our environment. 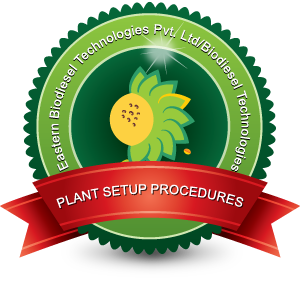 Biodiesel Technologies was conceived by a group of Technologists with a comprehensive professional experience with multinational companies under the able stewardship of Mr. Amitabha Sinha who is the M.D & Chief of Technology of the company. Mr. Amitabha Sinha proposed a journey for the present society at large from the present polluted and harmful environment back to the green and pure environment as it was ages before. He thought of developing an alternative source of energy that can reduce pollution levels in our country, organic in nature. Soon his thought were materialised into action when the idea/concept of manufacturing Biodiesel Processing Plants crystallized. 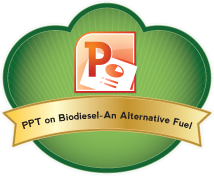 The feedstock used was organic in character which produced Biodiesel as per the ASTM, EN and BIS Standards. This marked the beginning of our organization. Since the operation of the first Biodiesel processing Plant in Hyderabad, Biodiesel Technologies has built a strong reputation as a leading pioneer in the manufacturing, fabricating and assembling Biodiesel Processing Plants. Buy Biodiesel Industry Reports detailing - World Markets, Various players National & International players,Biodiesel Industry trends and regulations,consumption patterns, Various Biodiesel Standards,Indian Markets,Indian Biodiesel Industry & it’s overview,Energy Security,Feedstock Market in India,Economics of Biodiesel Production from Jatropha,National Biodiesel Mission (Indian Context),Biodiesel Development In India,Current Status of Biodiesel Production In India,Trade In Biofuel,Indian Biodiesel Policy. Copyright 2008-2010, Biodiesel Technologies. All rights reserved.